From heavy lifting requirements to heavy haulage, ABC Crane Hire can assist you with anything. Find out more about what we can do for you. For all after hours emergencies call us on 0419 940 843. We are available 24/7. Do You Need a Crane Lift? ABC Crane Hire maintains a fleet of the latest cranes for all your lifting requirements. When it comes to lifting equipment, look no further. 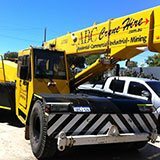 ABC Crane Hire has a fleet of mobile cranes capable of lifting everything from spas, locomotives, bridge beams, heavy construction modules to the largest mining equipment and pre-cast concrete tilt panels. At ABC Crane Hire, we are constantly upgrading and updating our inventory of cranes, heavy lifting equipment and related technology to make sure we stay ahead of the curve when it comes to lifting solutions. If you require a crane, you need to hire the right equipment for the right job. 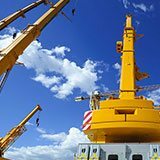 Our fleet consists of a high-quality fleet of cranes, rigging and associated lifting equipment. All cranes are operated by well-experienced quality operators, expert riggers and highly skilled dogmen, delivering exceptional service and site efficiency. 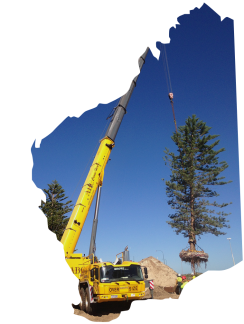 Established in 1999, ABC Crane Hire is a 100%, Western Australian owned and operated company. With many years’ experience in construction, mining, industrial and residential sectors, we are able to provide total lifting solutions. This, alongside our highly qualified staff, allows us to offer the most practical and affordable lifting solutions for your project. We provide a wide range of the latest crane lifting equipment and technology – all of which are mine-site compliant. With our superior equipment, excellent service and vast experience, we are able to help you maximise efficiency on your site. By understanding the industry and employing a team of knowledgeable staff, we will save you time and money on your next project. At ABC Crane Hire, we make safety our primary concern. As one of the leading crane companies in Perth, we are committed to providing superior crane rental services with full OHS (Occupational Health and Safety) systems in place. A job well done should never be at the expense of anyone’s safety. We have achieved a perfect safety record of ZERO LTIs in our entire 17 years of operation. When it comes to your safety and equipment needs for crane hire in Perth and WA, you need look no further than us. All our equipment is stringently maintained with crane industry green stickers and regularly checked to ensure a safe operation. If you are looking for mobile crane hire and equipment to be transported, we have the answer for you. Contact us, tell us your lifting or transport requirements, and we will quote you on a practical and cost-effective solution.